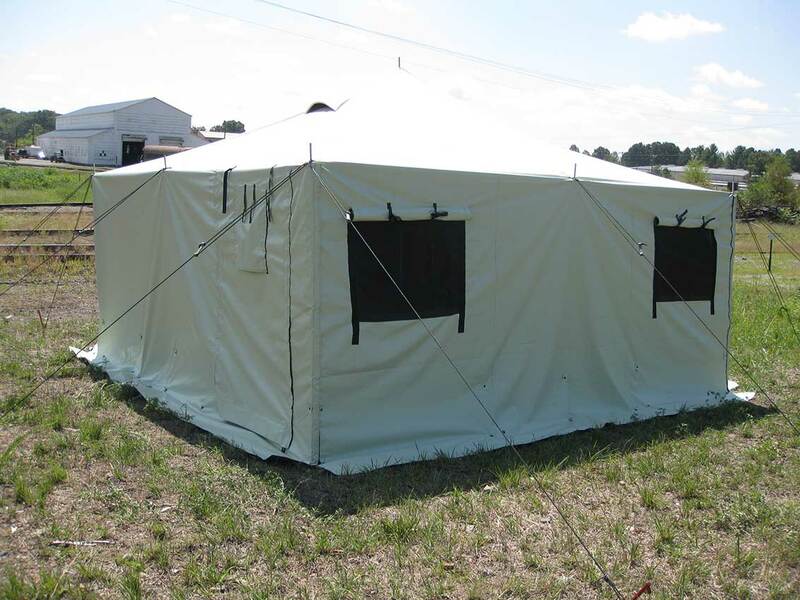 Family sized (15' X 15') tent that accommodates up to 8 people. Also has roll up sides that converts shelter to a canopy. The roof and walls are made of 13 OZ. coated PVC fabric, most commonly used for commercial tents for extra durability. Durable leak free / insect free construction. 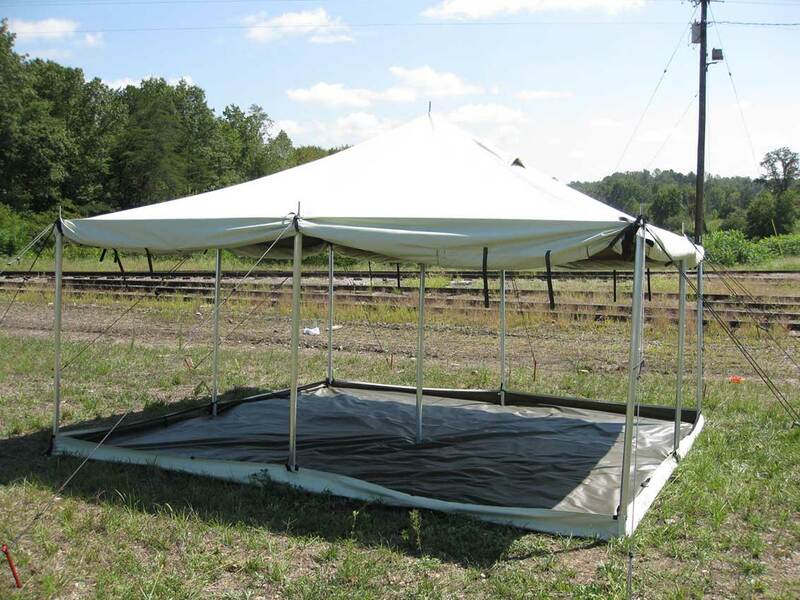 Tent / canopy meets all required state and federal safety standards for human occupancy. Warranted for one year of continuous use. Doors: Two zippered insect netting fabric doors for entry/exit on opposite sides of tent. Vent: Two roof vents with insect netting and weather cover for good ventilation. 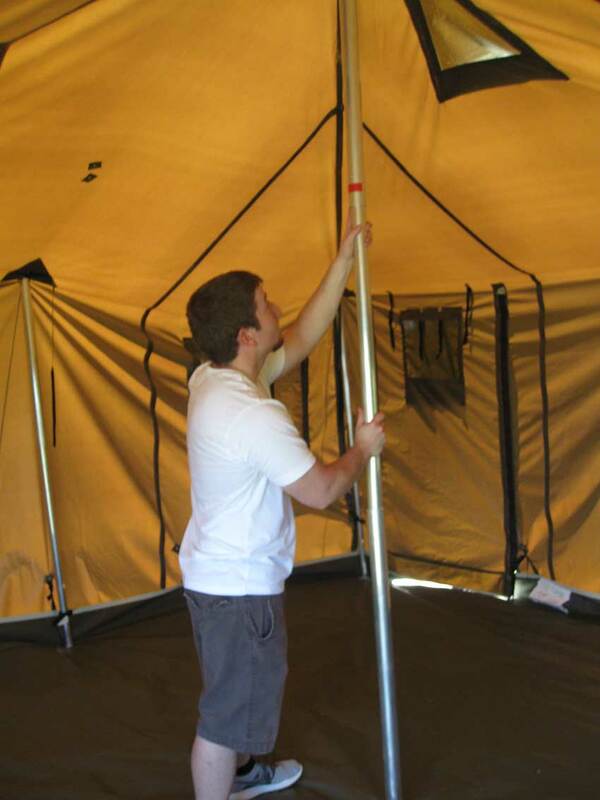 Roll-up Sides: Walls have hook and loop fastened corners to facilitate roll up of sides to convert to a shade canopy. Floor: Removable floor for easy cleaning. Frame: Aluminum frame system. Consists of 8ea. 1.5-inch diameter wall poles and 1ea. 1.75-inch diameter center pole. Tent set up is accomplished with eight adjustable guy ropes placed evenly around perimeter of tent and anchored with steel stakes.